Every recipe has its own rhythm. When the ingredients are combined, they begin to form personality. With time the cooking rhythm is established, and then a recipe is created. I took my time with the strawberry pop tart. I wanted the recipe to be familiar, but new. There’s a lot handheld pie recipes out there, but my goal was to make this recipe unique. The strawberry jam needed to be sweet with depths of flavor. The frosting not only needed to compliment the crust and filling, but it also needed to stand out on its own. With each batch tested, the closer I came to developing a treat that was worth getting excited about and worth taking the time to bake. One batch, the jam wasn’t sweet enough. Another time, I burnt the crust. I waffled with the frosting even: should it be clear and delicate or white and thick? It took time, but it was fun. With every batch that came out of the oven I made the people I love happy. The perfect hand held pie was finally created. 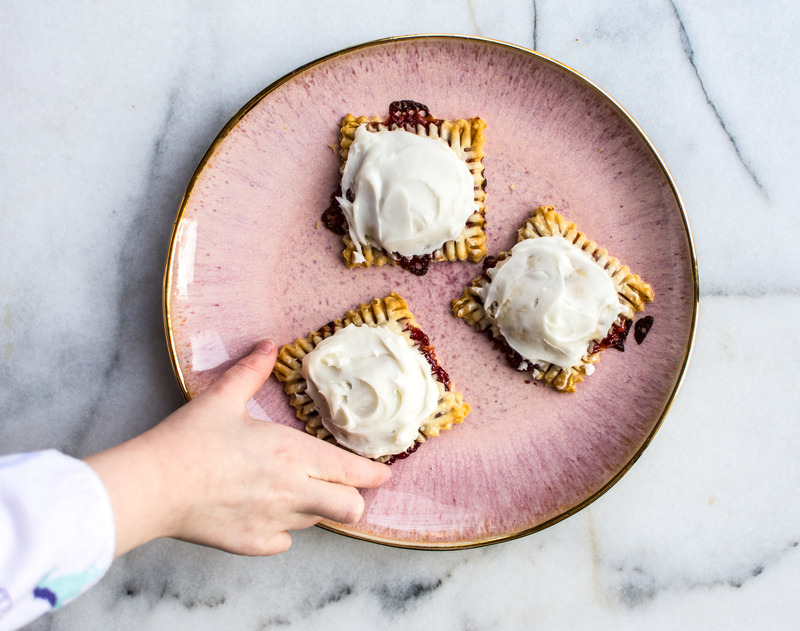 It is full of concentrated strawberry flavor, with notes of marsala and orange that’s wrapped in a buttery crust with a sugary-orange frosting. When I think on the rhythm of strawberry pop tarts, it is obvious— colorful, melodic, thoughtful and happy. Author note: I use Cook’s Illustrated Foolproof Pie Crust recipe. 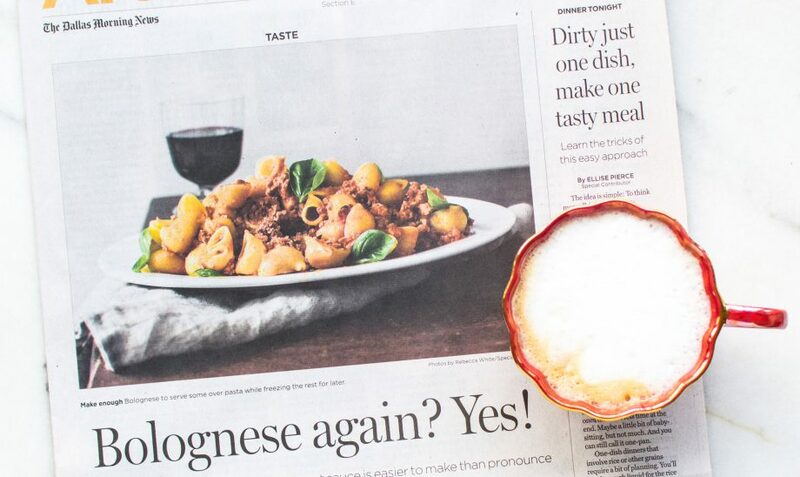 This recipe can be found at Food52 (click here for the recipe). If you don’t have the time or energy to make crust, a store bought dough works well. If you like to be generous with frosting, double the recipe. 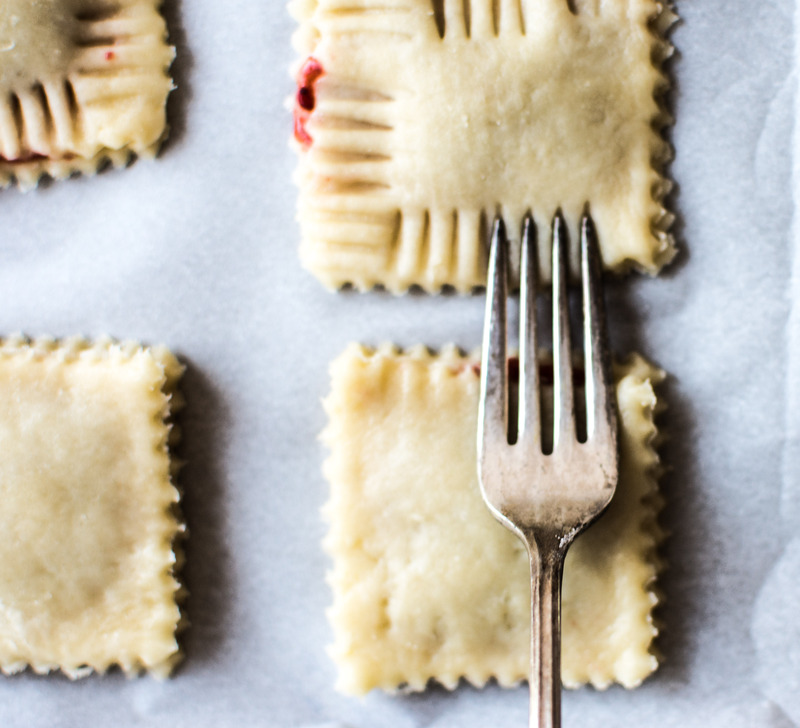 I use a ravioli stamp to make the pop tarts. A pizza cutter could also be used to make the squares. In a medium sauce pan combine the strawberries, vanilla, marsala, sugar, cinnamon stick, orange zest and salt. Stir and cover. Cook over medium-low heat for 20 minutes. Uncover and stir. Increase heat to medium and cook for 20 more minutes, stirring frequently. Once the strawberries have reduced to a jam-like consistency, remove from the heat and bring to room temperature. Store in an airtight container overnight in the fridge. On a floured surface, roll out the dough. 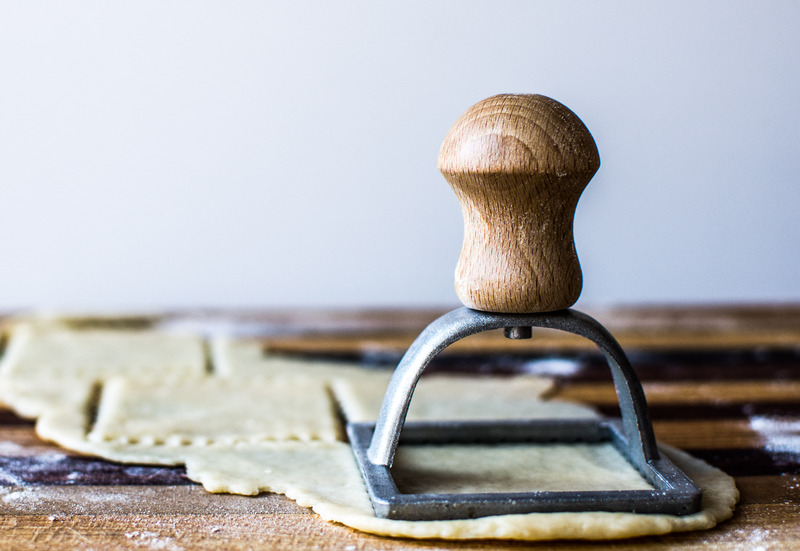 With a ravioli stamp, cut out the dough. 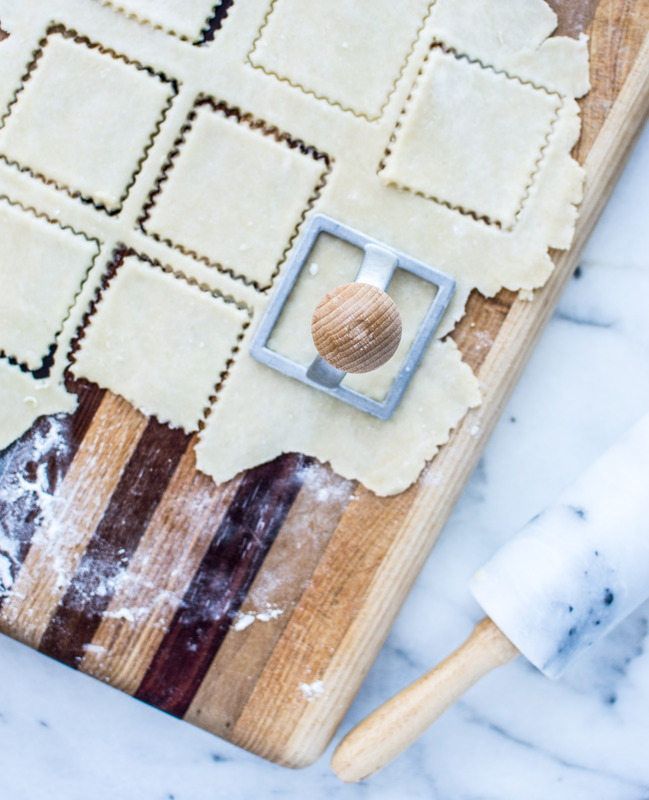 Lay the pieces on a parchment (or silpat) lined rimmed baking sheet. 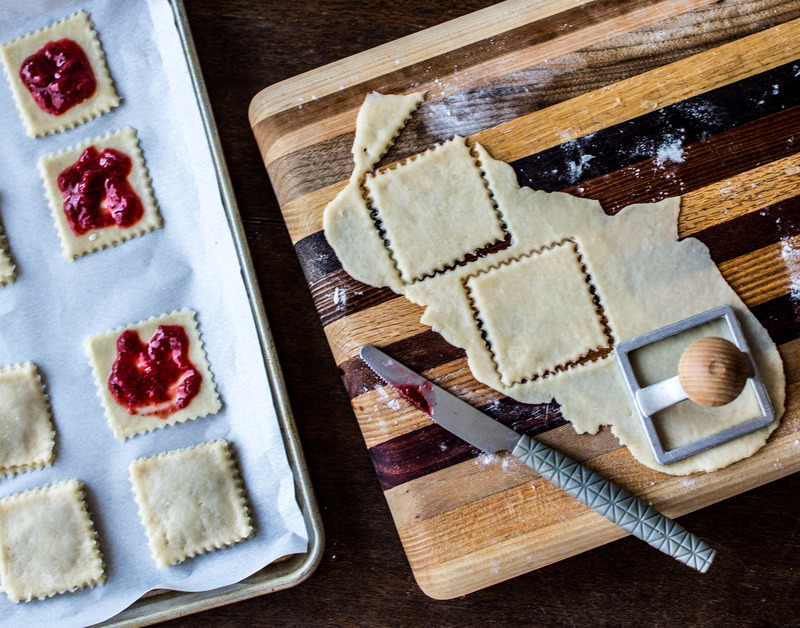 Place a small spoonful of strawberry jam in the middle of each dough square. 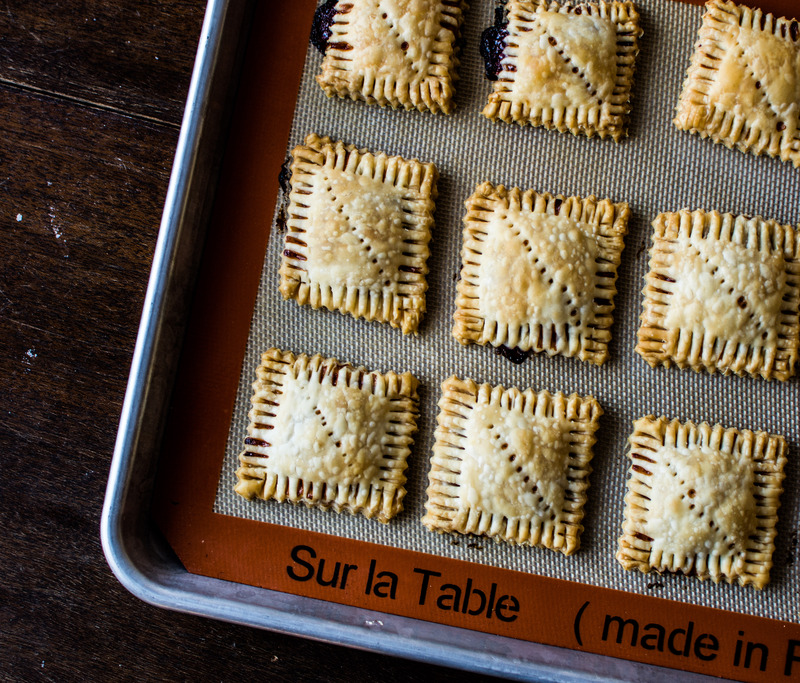 Cover the jam with another dough square. Using a fork, press to seal the edges of the pop-tart. Then, prick the top of each pop-tart with the fork (this will release air during the cooking process and will prevent the pop-tart from “puffing” up). 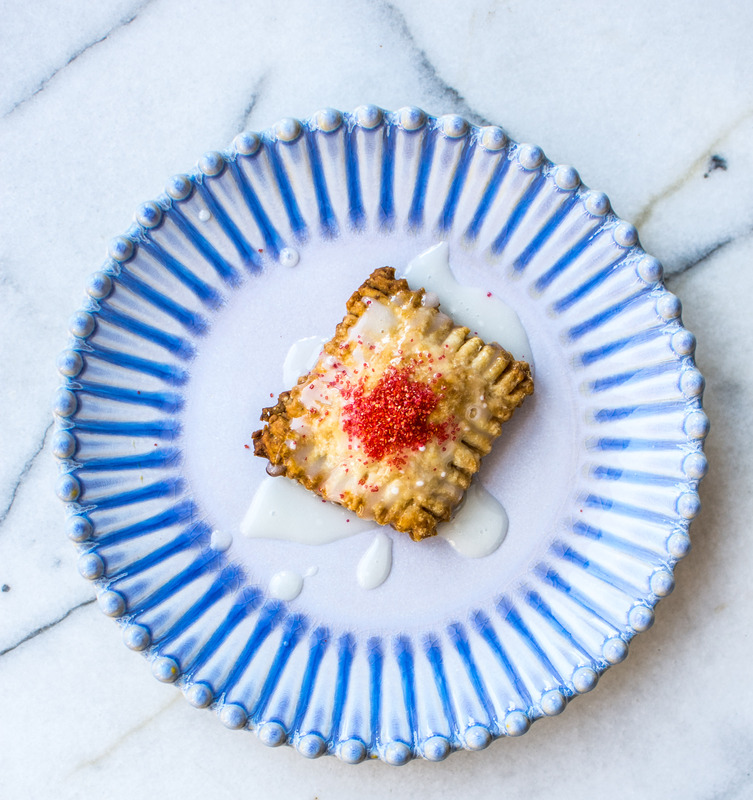 Place in the oven and cook for 20 minutes, or until the edges of the pop-tart are golden brown. 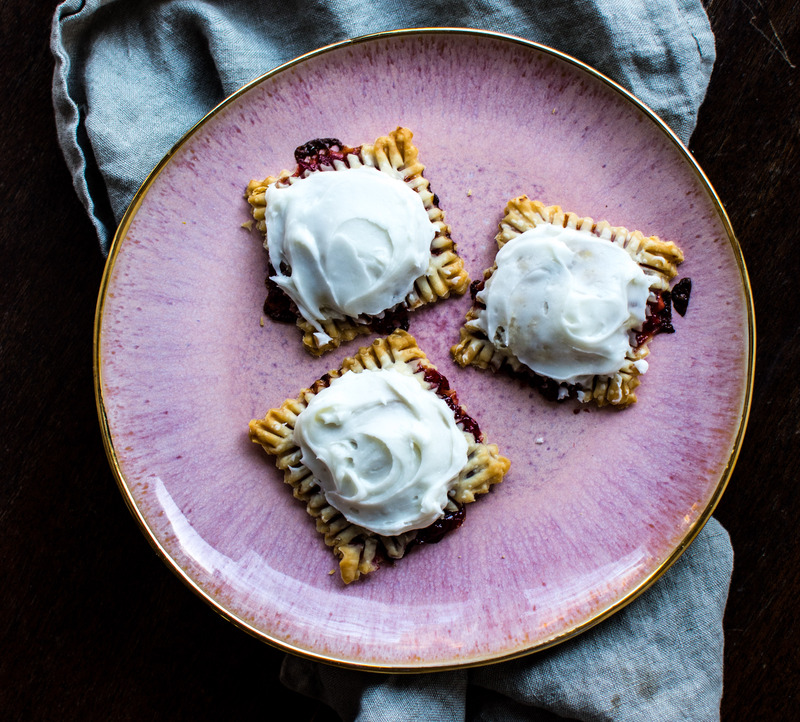 Once the pop-tarts are at room temperature add the frosting and serve. Place the sugar into a bowl. Add the cream and extract. Stir well to combine. This entry was tagged A Pleasant Little Kitchen pop tarts, dallas food blog, dallas food blogger, frosting recipe, good homemade pop tart recipes, hand held pie recipe, hand help pies, homemade pop tarts, mini strawberry pop tarts, pop tart recipe, strawberry jam, strawberry jam recipe, strawberry recipe, texas food blog, texas food blogger. Bookmark the permalink.